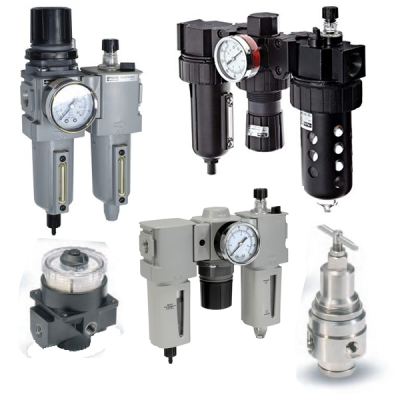 Full featured particulate and coalescing filters, regulators, filter/regulators, and lubricators are available with a wide range of standard options to meet air preparation needs. It is available in three body sizes with either BSPP, BSPT, or NPT to accommodate thread type requirements. Individual units can easily be assembled into various combinations, utilizing patented modular lightweight body connectors.